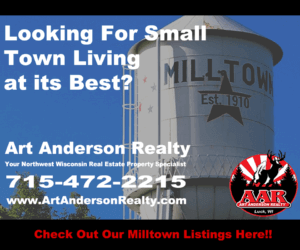 Dreaming of living in a progressive small-town community in Polk County, Wisconsin? The Village of Luck has to be one of a first places that comes to mind. Houses for sale in Luck offer many perks including its immediate access to a multitude of outdoor recreation opportunities. Luck is located less than 1.5 hours Northeast of St. Paul, Minnesota in beautiful Polk County, Wisconsin. It has a population of about 1,067 and is a close-knit community that hugs the shoreline of Big Butternut Lake. Big Butternut Lake is a 384 acre lake located in Luck. It has a maximum depth of 19 feet and visitors have access to the lake from a public boat landing. One popular activity in Luck is fishing and some of the fish in this lake include Panfish, Largemouth Bass, Northern Pike and Walleye. All of Luck is surrounded by natural scenic beauty with an area that is a favorite for lake living enthusiasts. as well as hikers and bikers. There are dozens of hiking and biking trails including the Gandy Dancer State Trail and the Ice Age National Scenic Trail. The Ice Age National Scenic Trail is a thousand-mile footpath — entirely within Wisconsin — that highlights these Ice Age landscape features while providing access to some of the state’s most beautiful natural areas and Luck is one of them! Straight Lake State Park is a local favorite and is well known for its pristine undeveloped lakes, bird watching, and stargazing. While the surrounding countryside is certainly picturesque, the Village of Luck itself also has much to offer. There is so much to enjoy in this quintessential rural community and it is truly a wonderful place to call home. Residents of this close-knit village take pride in their community, excellent school system, library and museum. Luck is the kind of place where children still play in the front yard. You can still walk to one of the many local small businesses located in town and not worry. As you explore houses for sale in Luck, imagine yourself strolling down the vibrant Main Street. It is filled with locally owned stores and restaurants. The town has also become something of a cultural hub. It is with two annual art sales, festivals, a winter carnival and other events including a weekly summer music series. It’s a great place to get away from it all and a great place to buy a house to enjoy small-town living. 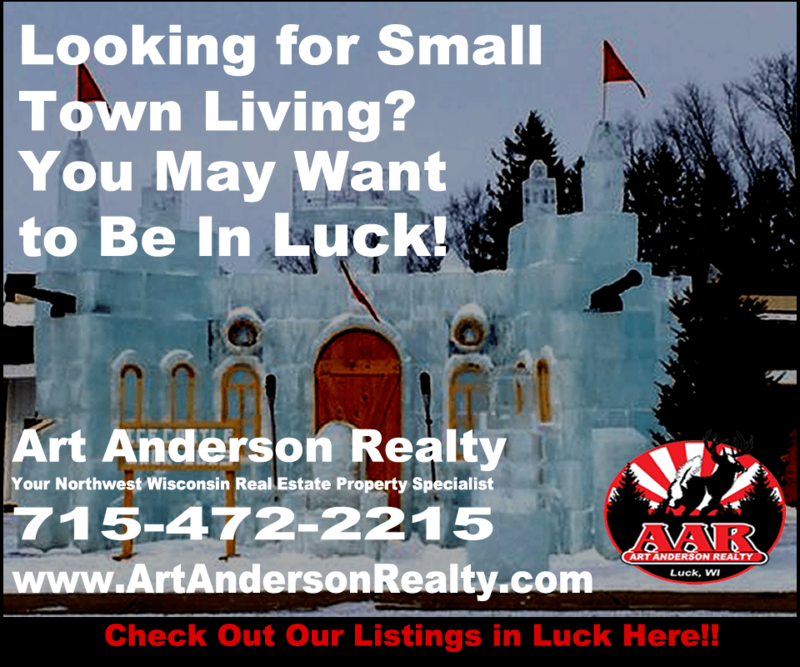 If you are you ready to find the small-town home you’ve dreaming of, then “You’re in Luck”! You’re just a few clicks away from finding the home of your dreams. 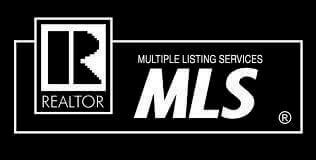 Get started now with Art Anderson Realty! 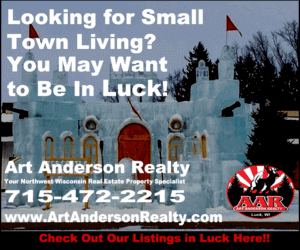 We can help you explore all the wonderful houses for sale in Luck, Wisconsin. We can help with property data to neighborhood information and we’ll make sure you have everything you need to make a smart investment.